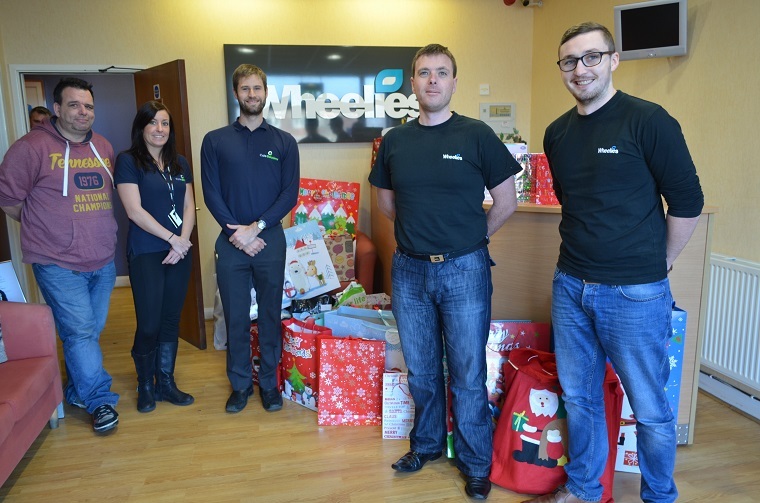 Employees of Cycle Solutions and our partner company, Wheelies, have been digging deep to help Mr X to provide Christmas gifts for underprivileged children. An anonymous charity champion, known only as Mr X, started the initiative over 50 years ago after he took part in a scheme to give respite to children from a local orphanage. Since then, tens of thousands of youngsters have received gifts donated by local businesses, schools and individuals who want to ensure that every child can share in the festive cheer. Over 50 employees based out of our head office in Swansea provided gifts for this year’s appeal. Each of our team was given a child’s Christian name and age, and was told whether they were buying for a boy or a girl. Supporters then bought what they could afford, from scooters and hot wheels, to Barbie and crayons. The presents were collected today by one of Mr X’s helpers and will be distributed to grateful children in the build up to the big day. Thanks to all of our great team members who helped with this year’s collection.